The Climatic Research Unit hacking incident, which global warming skeptics refer to as Climategate, came to light in November 2009 with the unauthorized release of thousands of e-mails and other documents obtained through the hacking of a server used by the Climatic Research Unit (CRU) of the University of East Anglia (UEA) in Norwich, England. "Climate deniers illegally hacked into scientists' emails and claimed they showed scientists, including [Michael] Mann, manipulating data. Their charges were investigated by four separate bodies, each one reaffirming the soundness of the science, and exonerating the scientists. In other words, Climategate was over nothing, it turned out. Instead of data, it was the press that had been manipulated", summarized Shawn Otto. The University of East Anglia described the incident as an illegal taking of data. The police are conducting a criminal investigation of the server breach and subsequent personal threats made against some of the scientists mentioned in the e-mails. Extracts from the e-mails have been publicized and posted online, and allegations have been made that they indicate misconduct by leading climate scientists such as withholding scientific information, interfering with the peer-review process, deleting information, and manipulating data. A December 2009 Associated Press investigation involving examination of the 1,073 e-mails by five reporters, however, found that the allegations are largely unsubstantiated and the "exchanges don't undercut the vast body of evidence showing the world is warming because of man-made greenhouse gas emissions." Intergovernmental Panel on Climate Change head Rajendra Pachauri has suggested that the incident was intended to undermine the then imminent December 2009 Copenhagen global climate summit. The material comprised more than 1,000 e-mails and 2,000 documents, as well as commented source code, pertaining to climate change research covering a period from 1996 until 2009. Most of the e-mails concerned technical and mundane aspects of climate research, such as data analysis and details of scientific conferences. The controversy has focused on a small number of e-mails, particularly those sent to or from climatologists Phil Jones, the head of the Climatic Research Unit (CRU), and Michael Mann of Pennsylvania State University (PSU), one of the originators of the graph showing steadily rising temperature trends dubbed the "hockey stick graph". Some of the e-mails which have been widely publicized included expressed frustration over perceived harassment by climate change skeptics, concerns about the validity of skeptics' research, and drafts of scientific papers. Drawing upon requested climate data, former London financial trader Douglas J. Keenan claimed to have found evidence of fakery in a 1990 research paper by CRU head Phil Jones' co-author, University at Albany scientist Wei-Chyung Wang. Keenan threatened to have the FBI arrest Wang for fraud (a university investigation later cleared Wang of any wrongdoing). In response to the incident, Jones wrote in an e-mail in June 2007 that "I do now wish I'd never sent them the data after their FOIA request!" After not releasing data to a skeptic because it was already public, Ben Santer wrote that he then opted to "release everything the skeptic wanted — and more." In another e-mail regarding constant requests for data, researcher Keith Briffa wrote, “I believe none of us should submit to these 'requests.'" Phil Jones also e-mailed: "Data is covered by all the agreements we sign with people, so I will be hiding behind them." After receiving multiple FOIA requests, Phil Jones told scientist Michael Mann: "You can delete this attachment if you want. Keep this quiet also, but this is the person who is putting FOI requests for all e-mails Keith [Briffa] and Tim [Osborn] have written." The e-mail goes against scientific requirements of openness and transparency, but no e-mails were actually deleted. A February 2, 2005 email from Phil Jones to Michael Mann includes: "And don't leave stuff lying around on ftp sites - you never know who is trawling them. The two MMs [Steve McIntyre and Ross McKitrick] have been after the CRU station data for years. If they ever hear there is a Freedom of Information Act now in the UK, I think I'll delete the file rather than send to anyone. Does your similar act in the US force you to respond to enquiries within 20 days?—our does! The UK works on precedents, so the first request will test it. We also have a data protection act, which I will hide behind." Pro-Vice Chancellor of Research at University of East Anglia, Trevor Davies, said that no data was deleted or "otherwise dealt with in any fashion with the intent of preventing the disclosure"
An article in Mother Jones noted that McIntyre was particularly interested in East Anglia's Climatic Research Unit, keepers of one of the most complete sets of temperature records in the world, and had asked the unit for raw data but was rebuffed because of his past efforts at distorting data and facts. In 2008, McIntyre sought raw data and email correspondence from Santer, a scientist at the Lawrence Livermore National Laboratory, who refused, arguing that the data were already publicly available. In just the last week of July 2009, CRU received 58 FOIA requests from McIntyre and others. CRU head Phil Jones argued that responding to these requests was creating an "unmanageable burden." In September 2009, RealClimate, a blog launched by Mann and other scientists to fight back against "skeptics," drafted a public statement about what they saw as a pattern: "An unverified accusation of malfeasance is made based on nothing, and it is instantly 'telegraphed' across the denial-o-sphere while being embellished along the way to apply to anything 'hockey-stick' shaped and any and all scientists, even those not even tangentially related. The usual suspects become hysterical with glee that finally the 'hoax' has been revealed and congratulations are handed out all round...Net effect on lay people? Confusion. Net effect on science? Zip." McIntyre's latest requests for both the raw CRU data and the email correspondence between scientists about those data were formally denied on November 13, 2009. Four days later, a massive bundle of files named FOIA.zip was anonymously posted on several prominent skeptic blogs and RealClimate with several years' worth of the climate scientists' email exchanges. When the journal, Climate Research, published a study questioning climate change that turned out to be partly funded by the American Petroleum Institute, Penn State scientist Mann suggested: "Perhaps we should encourage our colleagues in the climate research community to no longer submit to, or cite papers in, this journal" because the paper in question “couldn't have cleared a 'legitimate' peer review process anywhere. That leaves only one possibility--that the peer-review process at Climate Research has been hijacked by a few skeptics on the editorial board…. The skeptics appear to have staged a 'coup' at 'Climate Research' (it was a mediocre journal to begin with, but now its a mediocre journal with a definite 'purpose')." E-mails were also critical of Steve McIntyre, a mathematician and economist who used to work for the mineral exploration industry. McIntyre maintains Climate Audit, a blog that focuses on publicizing statistical issues with scientists' attempts to recreate the climate in ancient times. McIntyre told AP that climate scientists are "overreaching in the conclusions that they're trying to draw from the data that they have." Some CRU e-mails said McIntyre's attempts to get original data from scientists were frivolous and meant more for harassment than doing good science. There are allegations that he would distort and misuse data given to him, with e-mails calling McIntyre a "bozo," "fraud," and a "moron". A July 8, 2004 e-mail from Phil Jones to Michael Mann said in part: "The other paper by MM [Steve McIntyre and Ross McKitrick] is just garbage. [...] I can't see either of these papers being in the next IPCC report. Kevin and I will keep them out somehow — even if we have to redefine what the peer-review literature is!” IPCC chairman Rajendra Pachauri stated that the papers that had been criticized were not suppressed, and "were actually discussed in detail in chapter six of the Working Group I report of the IPCC Fourth Assessment Report." Another e-mail expressed frustration about inconsistent figures in the work for a big international report. David Rind told colleagues: "As this continuing exchange has clarified, what's in Chapter 6 is inconsistent with what is in Chapter 2 (and Chapter 9 is caught in the middle!). Worse yet, we've managed to make global warming go away! (Maybe it really is that easy...:)." The AP investigation found that the inconsistent figures for the one report does not undercut the scientific consensus on climate change. An email written by Kevin Trenberth discussed gaps in understanding of recent temperature variations: "Saying it is natural variability is not an explanation. What are the physical processes? Where did the heat go? ", "How come you do not agree with a statement that says we are no where close to knowing where energy is going or whether clouds are changing to make the planet brighter. We are not close to balancing the energy budget. The fact that we can not account for what is happening in the climate system makes any consideration of geoengineering quite hopeless as we will never be able to tell if it is successful or not! It is a travesty! ", and "The fact is that we can't account for the lack of warming at the moment and it is a travesty that we can't." Trenberth told the AP that the email referred to an article he authored calling for improvement in measuring global warming to describe unusual data, such as rising sea surface temperatures. The word travesty refers to what Trenberth sees as an inadequate observing system that, were it more adequate, would be able to track the warming he believes is there. The AP investigation found none of the CRU e-mails or documents involved falsification of data or "disproved" climate change. The investigation into who hacked the server is still ongoing. Mother Jones reported that the hacker was at least familiar with the climate-science debate to know enough to search through the hacked emails using keywords like "Mann," "hockey stick," and "Phil Jones" and to sort them accordingly. A source close to the CRU explains that the unit's security wasn't very tight—its server is separate from the rest of the university's. But some complexity was involved: once the hacker breached the server, he still would have had to find his way into the system administrator's account, a feat that could have required special software to access the password. Then, in order to remain anonymous when posting the emails online, he would have had to scan the internet for nonsecure servers to work from to cover his own IP address. The hacker also used servers in multiple countries, making it difficult to trace his whereabouts. It also later became clear that CRU was not the only target. In the fall of 2009, unknown parties posing as network technicians attempted to break into the office of a climate scientist at the University of Victoria in British Columbia. There were also attempts to gain access to servers at the Canadian Centre for Climate Modelling and Analysis. According to a source within the institution, there were also unsuccessful attempts to breach the server at the National Center for Atmospheric Research in Colorado. A US diplomatic cable that WikiLeaks released in late 2010 also revealed "evidence of an attempt to gain unauthorized entry to computer systems" belonging to the State Department's climate bureau in 2009. The cable warned that "as negotiations on the subject of climate change continue, it is probable intrusion attempts such as this will persist." Those who oppose action on global warming, such as Glenn Beck at Fox News, have called the incident Climategate and argue that it disproves global warming. Former vice presidential candidate Sarah Palin called for independent investigations into the e-mails, a delay in U.S. Environmental Protection Agency regulation of greenhouse gases, and outright boycotts of the Copenhagen international climate talks. As noted in David Michael’s Doubt Is Their Product, those opposing government regulation often deliberately cast certainty as the standard for regulatory action, a standard that is often impossible to establish, while simultaneously manufacturing uncertainty to dismiss scientific research and write off corporate regulations as unnecessary. The issue has attracted the attention of some in the congressional minority.For example, Republican Senator James Inhofe called for an investigation on November 24, 2009. Inhofe asserted that the IPCC and the UN "cooked the science to make this thing look as if the science was settled, when all the time of course we knew it was not." The Ranking Member of the House Select Committee for Energy Independence and Global Warming, Republican James Sensenbrenner also declared he would attend the Copenhagen conference on climate change to tell world leaders that regardless of President Obama's promises no more laws would be passed in the U.S. so long as "scientific fascism" persists. Sensenbrenner also wrote Dr. Rajendra Pachauri, leader of the IPCC, demanding that those found to have manipulated climate change data should not be allowed to participate in U.N. reports. On January 25, 2011, Rep. Henry Waxman sent a letter to Rep. Fred Upton seeking to call in global warming denier Pat Michaels for questioning about his science and funding. In the letter, Waxman wrote that Pat Michaels testified before the Energy and Commerce Committee in February 2009 "that widely accepted scientific data had 'overestimated' global warming and that regulation enacted in response to that data could have 'a very counterproductive effect.' Among the scientists who testified before this Committee on the issue of climate change in the last Congress, Pat Michaels was the only one to dismiss the need to act on climate change ... Dr. Michaels may have provided misleading information about the sources of his funding and his ties to industries opposed to regulation of emissions responsible for climate change." With his 2009 testimony, Pat Michaels submitted a CV including his sources of funding to the Committee. He listed a small number of corporate grants. These sources of income amounted to a small percentage of his income, and failed to list multiple large payments to New Hope Environmental Services, Pat Michaels' private enterprise, which has published the climate denial publication, World Climate Report dating back to 1995. New Hope's website says it is "an advocacy science consulting firm that produces cutting-edge research and informed commentary on the nature of climate, including patterns of climate change, U.S. and international environmental policy, seasonal and long-range forecasting targeted to user needs, and the relation between the earth's atmosphere and biology. 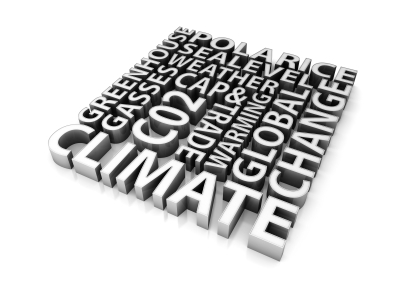 The company also consults on legal matters related to weather and climate." In 2006, it was revealed that energy and coal fired utility interests were funding Pat Michaels. In a 2007 Vermont lawsuit where Pat Michaels was an expert witness for auto interests suing the state to stop stricter vehicle greenhouse emissions standards, he submitted an affidavit stating that New Hope Environmental Services is a vital source of income for him and other scientists: "Besides modest speaking fees, New Hope is my sole source of income beyond a negotiated retirement package from the University of Virginia." In August 2010, Pat Michaels stated on CNN under direct questioning that he gets 40% of his funding from the oil industry. Over the course of his career, Michaels has used the titles Virginia State Climatologist (later stripped of that title by the Governor), Senior fellow at the Koch-founded and funded Cato Institute, and a visiting scientist at the George Marshall Institute, among other groups. Cato Institute was co-founded by Charles Koch and David Koch sits on the board. Upton has yet to respond to Waxman's request for questioning. On November 31, 2009, the Pennsylvania State University announced an inquiry into the potential misconduct of Michael Mann, director of its Earth System Science Center. The inquiry decided he had not directly or indirectly falsified research data. However, on February 3, 2010, the inquiry moved into the 'investigatory stage' following the determination that additional investigation was needed for one of the four allegations of impropriety and to determine whether his actions had caused public doubt about his scientific findings A Penn State student groups protested the exoneration of Professor Mann, asserting that three panel members had incentive to protect the university's funding and had not examined the evidence while relying primarily on Mann's own statements. In April 2010, the National Science Foundation asked its Inspector General to examine Penn State's findings findings. On December 1, 2009, the University of East Anglia similarly announced an investigation into Phil Jones, its director of Climate Research. Jones stepped down from his post in December, but the House of Commons Science and Technology Committee (U.K.) in March declared accusations against him "largely misplaced" and has since supported his reinstatement. "We are content that the phrases such as 'trick' or 'hiding the decline' were colloquial terms used in private e-mails and the balance of evidence is that they were not part of a systematic attempt to mislead... We saw no evidence of any deliberate scientific malpractice in any of the work of the Climatic Research Unit and had it been there we believe that it is likely that we would have detected it. Rather we found a small group of dedicated if slightly disorganised researchers who were ill-prepared for being the focus of public attention." In April 2010 Virginia's Republican Attorney General Ken Cuccinelli asked the University of Virginia to produce "documents relating to [Michael] Mann’s receipt of nearly half a million dollars in state grant-funded climate research" conducted from 1999-2005, when Professor Mann was employed by the university. This investigation has been called a political "witchhunt." In May 2010, Christopher Horner, following his previous Freedom of Information Act request three years ago, stated that he would file a lawsuit against NASA for release of potential 'Climategate' emails. Horner asserted that NASA might be withholding them long enough to prevent their impact on an upcoming Senate debate on climate change. Following the controversy surrounding these emails, Gallup polling showed a sharp increase in the percent of Americans questioning climate change and in particular expressing skepticism about climate change. Rasmussen found a similar drop-off in public belief that Global Warming is caused by human activity. ↑ Shawn Lawrence Otto (2011-11-01). Climate Scientist Wins A Round for America. Huffington Post. Retrieved on 2011-11-02. ↑ 3.0 3.1 Timothy Gardner, "Hacked climate e-mails awkward, not game changer", Green Business (Reuters), November 23, 2009. ↑ 4.00 4.01 4.02 4.03 4.04 4.05 4.06 4.07 4.08 4.09 4.10 4.11 Seth Borenstein, Raphael Satter, and Malcolm Ritter, "Review: E-mails show pettiness, not fraud. Climate experts, AP reporters go through 1,000 exchanges." AP Press on msnbc news, December 12, 2009. ↑ Faye Flam, "Penn State scientist at center of a storm", Philadelphia Inquirer, December 8, 2009. ↑ Chris Mooney,"Paralysis by Analysis: Jim Tozzi’s regulation to end all regulation", Washington Monthly, May 2004. ↑ Kate Sheppard, "Climategate: What Really Happened?" Mother Jones, April 21, 2011. ↑ Peter Kelemen,"What East Anglia's E-mails Really Tell Us About Climate Change", Popular Mechanics, December 1, 2009. ↑ 19.0 19.1 Declan McCullough, "Congress May Probe Leaked Global Warming E-Mails", CBS News, November 4, 2009. ↑ Rebecca Terrell, "Congress Launches Climategate Investigation", The New American, November 27, 2009. ↑ Matt Dempsey, "Listen: Inhofe Says He Will Call for Investigation on "Climategate" on Washington Times Americas Morning Show", U.S. Senate Committee on Public Works, November 23, 2009. ↑ "Sensenbrenner to Tell Copenhagen: No Climate Laws Until 'Scientific Fascism' Ends", Fox News, December 9, 2009. ↑ 24.0 24.1 24.2 24.3 "Rep. Waxman Presses for Inquiry on Global Warming Denier Pat Michaels" HuffPo, Jan. 25, 2011. ↑ 25.0 25.1 "Universities take action on Climategate", Washington Times, December 2, 2009. ↑ "Michael Mann's Climate Stimulus", Wall Street Journal, January 20, 2010. ↑ Ben Webster, "Climate-row professor Phil Jones should return to work, say MPs", London Times, March 31, 2010. ↑ Jess Henig, "Some “Climategate” Conclusions", FactCheck.org, March 24, 2010. ↑ "The disclosure of climate data from the Climatic Research Unit at the University of East Anglia", House of Commons Science and Technology Committee, March 24, 2010. ↑ Bud Ward, "Lynchburg, Va. TV Meteorologist Blasts State’s A.G. for Michael Mann 'Witch Hunt'", The Yale Forum on Climate Change & the Media, May 18, 2010. "The disclosure of climate data from the Climatic Research Unit at the University of East Anglia", House of Commons Science and Technology Committee, March 24, 2010. John Cook (2010-07-09). What do the 'Climategate' hacked CRU emails tell us?. SkepticalScience. Retrieved on 2010-12-08. Stewart Fist, "The Sound Science Coalition", 2000? Sharon Begley, "The Truth About ‘Climategate’", NewsWeek, December 5, 2009. John M. Broder, "Past Decade Warmest on Record, NASA Data Shows", New York Times, January 21, 2010. This page was last edited on 26 March 2015, at 19:54.